The poster at the center of the controversy shows a woman wearing a Burka next to a map of France covered with an Algerian flag. Minarets are shown as missiles over France’s map, and a caption above it reads “Non A L’Islamism” ( No To Islamism). 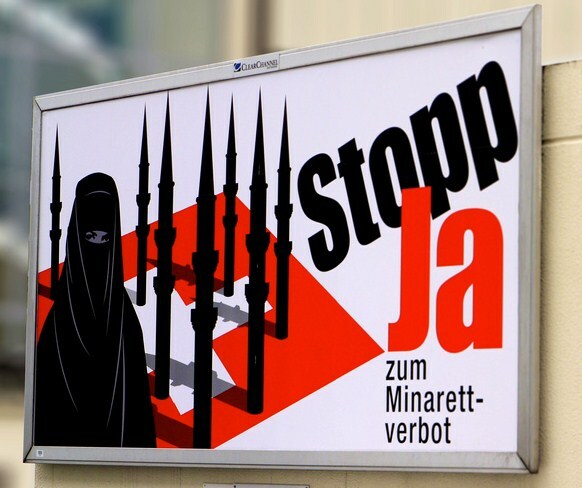 The Front National’s poster closely resembles a poster that a Swiss far-right Nationalist party (see photo) used in a November 2009 referendum to freeze Minaret construction in Switzerland. The Swiss advertisement agency that designed the poster says that it will sue the Front National for plagiarism. The Algerian government was quick to react to the provocative poster. “We need to respect the symbols of one another. This is the position of our country, and we will ensure that it will be respected,” said Mourad Medelci, Algeria’s Foreign Affairs Minister on Monday, March 8, 2010. The core of the Front National’s political appeal is its stand as being against immigration and even in favor of expelling foreigners out of France. 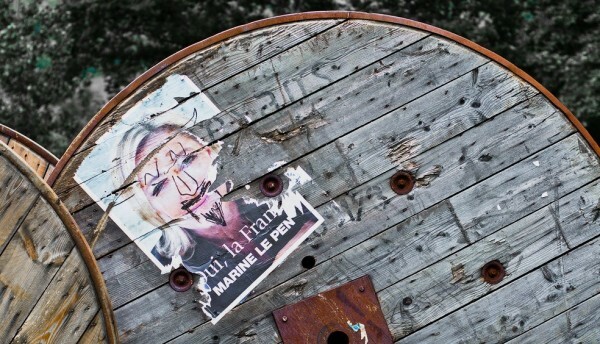 The Front National needs to be called what it is: a neo-fascist movement. The Front National was founded in 1972 by Francois Duprat and Francois Brigneau, and Jean-Marie Le Pen began to lead it later the same year. After 10 years on the margins of French politics, the Front National began a period of spectacular growth in 1981, campaigning on the slogan “France for the French,” as French fascists had done in the 1930s, and linking high unemployment and crime to the presence of immigrants. By using such arguments against immigrants, the Front National and its founder Jean-Marie Le Pen have stirred up racism and xenophobia for years. In the 1930s, the party aligned with the fascist ideology of the current Front National was Action Francaise. Action Francaise then blamed France’s problem on Jews, just like Adolf Hitler was doing in Germany. The Front National’s attention is now focused on Muslims and North-African immigrants. Algeria won its independence from France in 1962 after a nasty war that spanned eight years. France had almost 500,000 troops in Algeria at the darkest days of the conflict. Some of the torture exacted by the French forces in Algeria on the insurgents of the Algerian Front National de la Liberation (FNL) were so brutal that they still defy imagination. An important turning point for Algeria’s war of independence, which started in 1954, was the massacre of civilians by the FNL insurgency near the town of Philippeville in August 1955. Before this operation, FNL’s policy was to attack only military and government targets. The killing by FNL of 123 people, including elderly women and babies, shocked Jacques Soustelle, the French Governor General, and made him called for massive retaliation against the rebels. 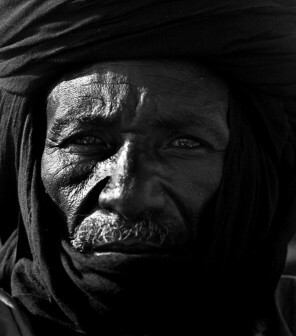 Soustelle claimed that 1,273 guerrillas fighters were killed in retaliation, but according to the FNL, more than 12,000 Muslims were slaughtered by the armed forces, the police and colon gangs. After the grave incident in Philippeville, an all-out war broke out in Algeria. December 21, 2013 Unification of Europe’s Far Right: Rise of the Fourth Reich? July 30, 2010 Is Sarkozy Turning France Into A Police State? By writing: “Last November it was in Switzerland with an extreme right wing Nationalist party running a campaign on an anti-Islam message”, you show that you don’t know much about swiss politics. To claim that it was an “extreme right wing Nationalis party* who ran the campaign on an anti.-Islam message is false. The majority of the people has nothing against minorities at all. Switzerland has a long tradition of a “live and let live”-philosophy (this is also the reason why Switzerland is neutral). What the Swiss don’t like are people who abuse the system and impose their way of living on others! Almost 25 % (!) of Switzerlands population are foreigners, no other country in the world has a higher ratio. The problem is that almost 80 % of all people on social wellfare are non-swiss-citizens and 90 % of the prison population as well. An ultraliberal society (and Switzerland is the most liberal country in the world) can only survive, if their members have a minimal respect for their fellow citizens. If a minority does not respect the customs of their host country, it neeeds to be put in place. There are no criminal violant acts in Switzerland against minorities and ultra-nationalist parties never had a chance (neither did communists), why? Because it’s the people and not the government who have always the last word (Switzerland is the only country in the world who has a real direct democracy). The people have much more common sense than some powerhungry politicans.